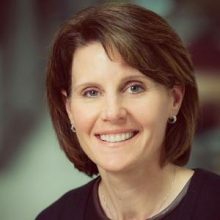 Dr. Lara Boyd is the Canada Research Chair in Neurobiology of Motor Learning, a Michael Smith Foundation for Health Career Investigator, a Peter Wall Scholar, and an Associate Professor in the Department of Physical Therapy, at the University of British Columbia. She is a Neuroscientist and Physical Therapist. Dr. Boyd directs the Brain Behaviour Lab at the University of British Columbia, which performs research designed to advance theoretical conceptualizations of how brain function relates to behaviour during learning. She is an expert in neuroimaging and neurophysiology, and uses a variety of cutting edge technology in her research. Research in the Brain Behaviour Laboratory examines the relationships between brain function and behavior after central nervous system damage from stroke. The work conducted in this laboratory essentially seeks to integrate two fields of study: the neurobiology of motor learning and the neural science of recovery from stroke. The research focus is to understand how best to stimulate neural plasticity to facilitate motor learning and recovery of function after stroke or other forms of acquired brain injury.